The Department of Economics introduces students to the economic principles that shape everything from America's international trade policy to our choices at the grocery store. By understanding economic issues faced by governments, communities and businesses, students can become more active and informed citizens of their own communities and the world. Economics Department faculty have advanced credentials, diverse expertise and impressive industry and agency experience as economic analysts. They have held positions with federal agencies, international policymakers and investment banks. The faculty includes a Master Teacher with recognition by the Joint Council on Economic Education, a professor interested in environmental and natural resource economics, a former analyst with the Federal Reserve Bank of Minneapolis and professor who served as an economic advisor at the Japan Bank in Tokyo. The Economic Department does not offer any degree or certificate. Courses range from Principles of Macroeconomics to Principles of Microeconomics. After completing two courses in Economics, students may take an independent study course (ECON 2299), researching an economic topic of interest to them. Economics is a math-intensive course of study because economists spend a great deal of time analyzing data for corporations and government. Therefore, in addition to economics, math and statistics are critical. Milton Friedman, a Nobel Economist, once suggested that an economist who does not understand society is not going to be very successful. Therefore, a person majoring in economics should also take courses in sociology, history, political science, and psychology. Courses leading to a concentration in some Economic Specialty such as International Economics, Labor Economics and so on. As recommended by the department based on interest and specialty. 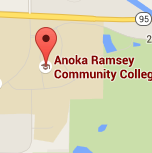 "Deciding to attend Anoka-Ramsey was one of the best decisions I ever made. 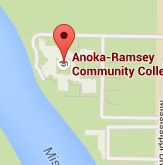 I received my two-year degree with the lowest tuition in Minnesota and with a very flexible class schedule. I also gained hands-on experience through Phi Theta Kappa, which has strengthened my academic studies."